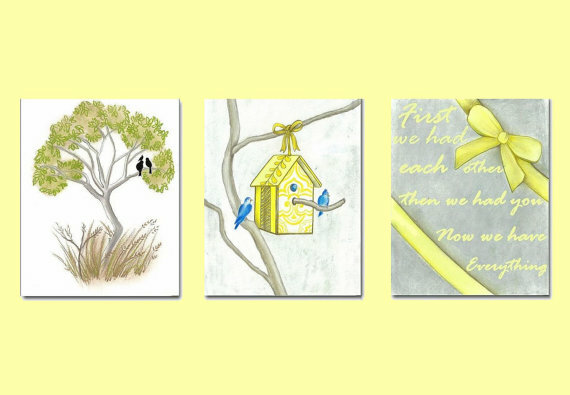 An other neutrall baby nursery on yellow and grey colors for baby boy or baby girl or twins! With unique items on yellow and grey which are neutral colors and as a professional, neutral colors are my favorite because they are so easy to combine and match perfect with almost any color! This birds themed nursery room is ideal for baby boys and baby girls!